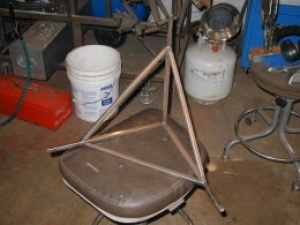 Homemade Z-square intended as an aid in the construction of 3-dimensional frames. Assembled by clamping the bars to a layout table and squaring them to each other sequentially. Nifty tool. First I've seen of its kind, actually.